Romania Property. 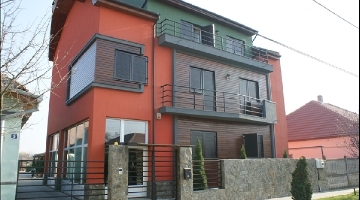 Properties for sale in Romania from private sellers. Prices in Romania have risen enormously in anticipation of Romania's accession to the EU, but property throughout the country is still reputed to be amongst the most under-valued in Europe. Popular areas for overseas buyers include the elegant capital, Bucharest, and to a lesser extent, other towns like Constanta, Brasov and Timisoara. The jewel in Romania's crown is the region of Transylvania, which offers everything from skiing in the winter to walking, trekking, horse riding and a host of hospitable medieval towns and fortified villages surrounded by breathtaking natural beauty - although the property market in rural areas is extremely backward so proceed with caution.